We’d love your help. 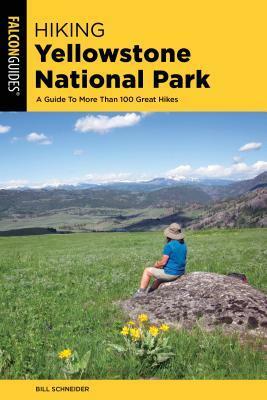 Let us know what’s wrong with this preview of Hiking Yellowstone National Park by Bill Schneider. Geysers, paint pots, and glowing blue pools; deep canyons with plunging waterfalls; broad river valleys with seemingly endless views; and tall rugged mountains--Yellowstone National Park is a hiker's paradise with more than 800 miles of trails. This updated edition of the classic guidebook has everything you need to explore this gorgeous national treasure. To ask other readers questions about Hiking Yellowstone National Park, please sign up. Bill Schneider writes books and articles on outdoor recreation, wildlife management and environmental issues.